Language development is a high priority at MerryVale Nursery. Right from the very beginning, language is encouraged by a good staff ratio in our baby rooms (one staff to two babies). All children are given constant opportunity to converse with an adult and other children. Story time at all levels plays an important part of each child’s development and circle time in the older groups gives the children the confidence to talk and listen in turn to a group of children and adults. We use the Jolly Phonics scheme to teach letter shape and sounds and all the children are encouraged to practise simple pencil skills through to pre reading/writing practise. 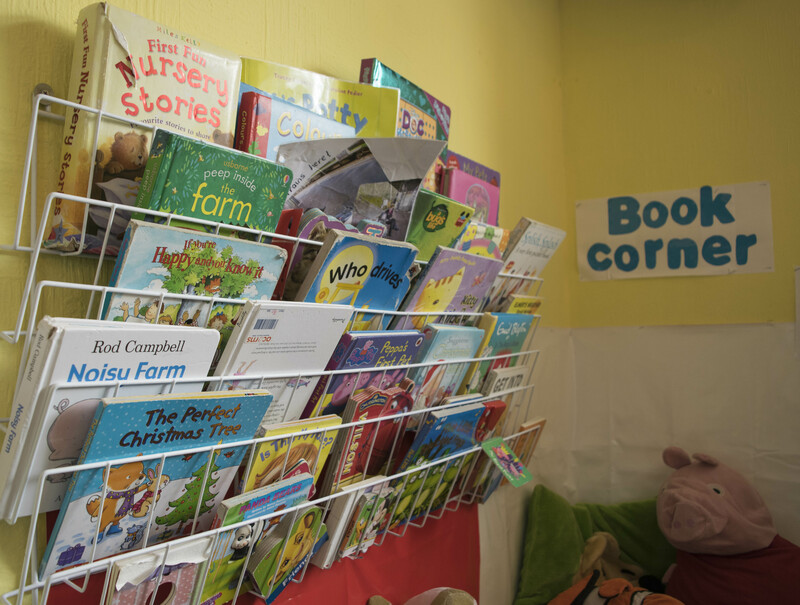 We offer a quiet ‘writing’ area in the 3-5 years room, which encourages children to independently choose materials and resources to practice, and help develop their fine motor and writing skills.